Today’s guest is Sally Bergeson of Oiselle. This is a by women, for women running and athletic clothing company based in Seattle. Sally founded the business more than 10 years ago when she became dismayed by the lack of availability of running shorts designed for women that were also well-made, comfortable and actually looked good! Oiselle’s first product (those running shorts that Sally had dreamed of) came to market in 2007 and the line expanded from there. But Oiselle is about more than just the clothes. They’re about getting more women comfortable (and confident) in sports and also bringing that sisterhood together around the country and around the world. In this conversation, we talk about how, after some fits and starts with running, she finally gave into it and found it to be a stable foundation upon which she could do so many other things. It was also her start to living a healthier lifestyle in general and how she believes running is so transformational. Sally’s known to be quite outspoken on social media so we also talk about how she straddles the need to speak her mind in today’s environment (I’m speaking specifically about our current administration) while risking upsetting her community and customers. We also get into how she feels competition is a good thing and that she wishes more women would allow themselves to be competitive. And of course, because this is me she’s speaking with, we talk about why she loves running in foreign cities. 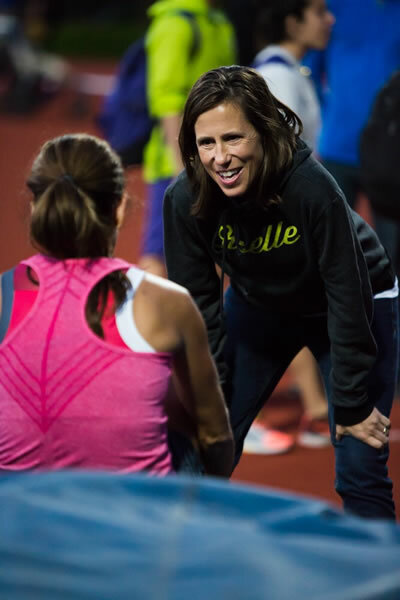 Please enjoy this conversation with Oiselle’s Sally Bergesen.